Depressed foster youth Ben is bullied and as a result gets into a car accident. His recovery process is slow, until he meets Adrienne, a wheelchair bound fellow patient at the hospital who breathes hope into his life and introduces to him her grandfather, Taekwondo Grand Master Kang. Kang not only teaches him how to walk and get back up on his feet, but also how to take charge of his own life and ultimately to face his inner demons. BOSTON, MA [September 28, 2017] – The Boston Asian American Film Festival (BAAFF), a production of the Asian American Resource Workshop (AARW), announces a provocative and entertaining program of independent cinema highlighting recent, significant works by and/or about Asian and the Asian diaspora. The festival theme this year is Liberty & Justice, a showcase of inspiring stories about the challenges and victories of self-empowerment and civic responsibility as individuals and community leaders. . The theme of Liberty & Justice is especially relevant in our changing world--locally, nationally, and globally. The anchor films for the festival commemorates the 135th anniversary of the passing of The Chinese Exclusion Act of 1882, 75th anniversary of the signing of Executive Order 9066--led to the mass incarceration of Americans of Japanese descent in 1942, and the 25th anniversary of the LA Uprising following the Rodney King verdict in 1992. BAAFF’s hope is to reflect, learn from, and move towards a more free and just society for all Americans, regardless of race, background, citizenship status, gender, class, and/or other intersecting identities. Together, as friends, citizens, and neighbors, we are calling to protect and preserve liberty and justice for all. This year, the festival takes place October 19-22, 2017 in Boston at ArtsEmerson’s Bright Family Screening Room in the Paramount Center and in Cambridge at the Brattle Theatre. The Boston Asian American Film Festival (BAAFF) is pleased to announce the 2017 festival will open with a New England Premiere – a special presentation of The Jade Pendant. Filmed in Utah, “The Jade Pendant” is directed by Hong Kong veteran Leong Po-Chih (“The Detonator,” “Out of Reach”) and follows the journey of a young girl who, fleeing an arranged marriage in China, finds herself on American shores. Her tragic love story is set against the 1871 burning of Chinatown in Los Angeles and the largest mass lynching in American history. The film is targeted to release theatrically October 24, on the anniversary of the Chinese Massacre of 1871. The opening film will screen at 7:30PM on Thursday, October 19th at the Brattle Theatre, 40 Brattle Street Cambridge, MA. The festival’s centerpiece film will feature Resistance at Tule Lake, directed by filmmaker Konrad Aderer. Resistance at Tule Lake tells the long-suppressed story of 12,000 Japanese Americans who dared to resist the U.S. government's program of mass incarceration during World War II. Branded as 'disloyals' and re-imprisoned at Tule Lake Segregation Center, they continued to protest in the face of militarized violence, and thousands renounced their U.S. citizenship. Giving voice to experiences that have been marginalized for over 70 years, this documentary challenges the nationalist, one-sided ideal of wartime 'loyalty.' Director Konrad Aderer will be present for this screening on Saturday, October 21 at 6:30pm at the Paramount Center, 559 Washington St, Boston, MA. The Boston Asian American Film Festival will close with the film Gook, a narrative film by independent filmmaker and actor, Justin Chon. Gook follows two Korean American brothers, Eli and Daniel, who own a struggling shoe store. Set during the first day of the LA Riots, the film follows their unique and unlikely friendship with a young 11-year-old African American girl, Kamila and the reality of defending their store while contemplating the future of their own personal dreams and the meaning of family. Gook has won the Audience Award at the Sundance Film Festival and premiered in Boston at the Independent Film Festival of Boston. Producer James Yi will attend the screening and participate in a Q&A, Sunday, October 22nd at 5:30pm, Paramount Center. Also, on Saturday October 21st, there will be a free panel discussion and featured performance by Flying Orb (Lowell, MA), Beyond Orientalism: The Boston Forum. Presented by New England Foundation for the Arts, Saturday, October 21, 10:30 a.m. – 12:30 p.m, Paramount Center. Beyond Orientalism is a national initiative to explore the topics of misrepresentation onstage and in the media, diversity and inclusivity in the performing arts as it relates specifically to API (Asian Pacific Islander) issues, and practical action steps to advance racial equity. This event will be a launch for the first network of API artists and arts organizations in the Greater Boston area. The event will be livestreamed on the HowlRound TV network at howlround.tv. Photography opportunities will take place prior to each screening, and following most screening there will be a conversation/Q&A with film talent in attendance. For more information, a full festival lineup, and tickets, please visit: www.baaff.org or www.facebook.com/baaff. The Boston Asian American Film Festival gratefully acknowledges the support of the following sponsors and partners: ArtsEmerson, Asian American Resource Workshop (AARW), Tufts Medical Center, South Cove Community Health Center, PAO Arts Center, Sampan, Boston Cultural Council. This program is supported in part by a grant from the Boston Cultural Council, a local agency which is funded by the Massachusetts Cultural Council, administered by the Mayor’s Office of Arts + Culture. The Boston Asian American Film Festival (BAAFF) empowers Asian Americans through film by showcasing Asian American experiences and serving as a resource to filmmakers and the Greater Boston Community. BAAFF is a production of Asian American Resource Workshop (AARW). The mission of the Asian American Resource Workshop (AARW) is to work for the empowerment of the Asian Pacific American community to achieve its full participation in the U.S. society. AARW is a member-based organization that seeks to document the diverse Asian Pacific American histories, experiences, and social conditions. Our resource and activities are used to respond to current Asian Pacific American issues and to promote Asian Pacific American identity. 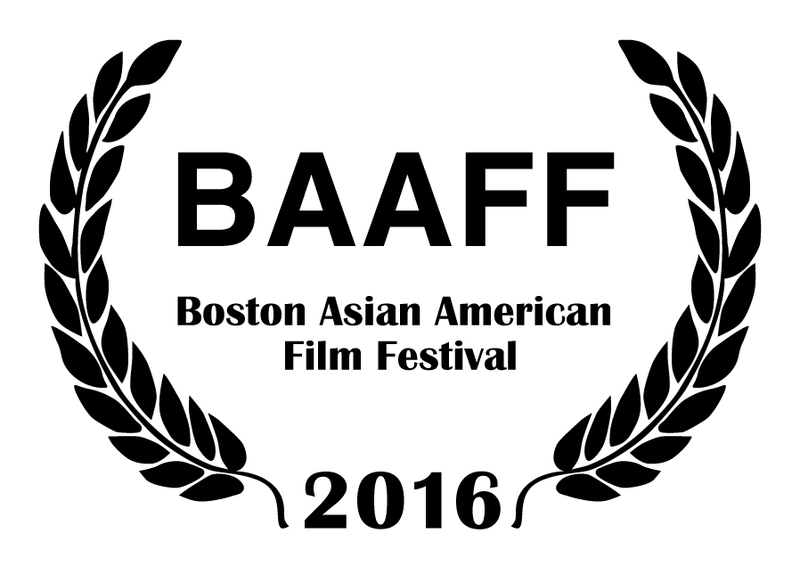 BOSTON, MA [October 18, 2016] – The Boston Asian American Film Festival (BAAFF), a production of the Asian American Resource Workshop (AARW) presents an entertaining and engaging program of independent cinema by and/or about Asians and Asian Americans. This year, the festival takes place October 20th to 23rd, 2016 in Boston at ArtsEmerson’s Bright Family Screening Room in the Paramount Center and in Cambridge at the Brattle Theatre. In a historic election year, Asian American voters can make a big difference in the outcome of national and local elections, yet Asian American communities historically do not “get out the vote” due to language barriers, unfamiliarity with the election procedures, and potentially being discriminated against at voting centers. All too often, Asian American communities and needs are overlooked during campaigns, thus discouraging Asian Americans to participate in the political process. To address these shortcomings, this year’s festival theme is Call to Action, and highlights inspiring films about Asian American contributions to creating change within their communities. Through visual and emotional films, Asian American filmmakers create new forms of civic participation, dialogues about identity, and stories that enhance the general American experience. Opening Night (Tyrus, 7:30 PM, Thursday, October 20th at the Brattle Theatre), is the latest work from filmmaker Pamela Tom. 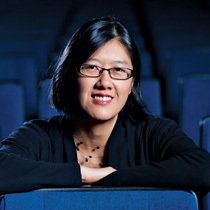 It was in Boston while she was working her first job in Boston’s Chinatown and volunteering with AARW (BAAFF’s parent organization) that she made her first film and answered the call to become a storyteller. The festival features further stories about Asian Americans who: live authentic lives as gay Asian Americans in New York (Front Cover, 9:30 PM, Friday, October 21st, Paramount Center), create space for Asian American rappers in American music (Bad Rap, 9:15 PM, Saturday, October 22nd, Paramount Center), create dialogue and action around mental health awareness and undocumented immigration status (Shorts Program: “It’s Complicated”, 1:00 PM, Sunday, October 23rd, Paramount Center), and organize others to advocate for prison reform and youth violence prevention (Breathin’: The Eddy Zheng Story, 3:00 PM, Sunday, October 23rd, Paramount Center). The BAAFF 2016 features over 25 films and also features filmmaker Q&A’s after film screenings, free community screenings before and after the official festival lineup, spaces for guests to create their own media and share their own Call to Action, and voter registration at both film venues. BOSTON, MA [September 26, 2016] – The Boston Asian American Film Festival (BAAFF), a production of the Asian American Resource Workshop (AARW), announces a provocative and entertaining program of independent cinema highlighting recent, significant works by and/or about Asian Americans and the Asian diaspora. The festival theme is Call to Action, which showcases inspiring films about Asian American contributions to creating change within their communities – compelling stories about Asian-American self-empowerment, change-makers, civic responsibility, activists and advocates. The Boston Asian American Film Festival (BAAFF) is pleased to announce the 2016 festival will open with a special presentation of a documentary feature Tyrus from filmmaker Pamela Tom (Two Lies, Behind Closed Doors, Mandela and DeKlerk). Tyrus has won Audience Awards at the San Diego Asian Film Festival, the Hawaii International Film Festival, the Newport Beach Film Festival; Best Feature Documentary at the DisOrient Asian American Film Festival of Oregon; and the Jury Prize at the Los Angeles Asian Pacific International Film Festival. 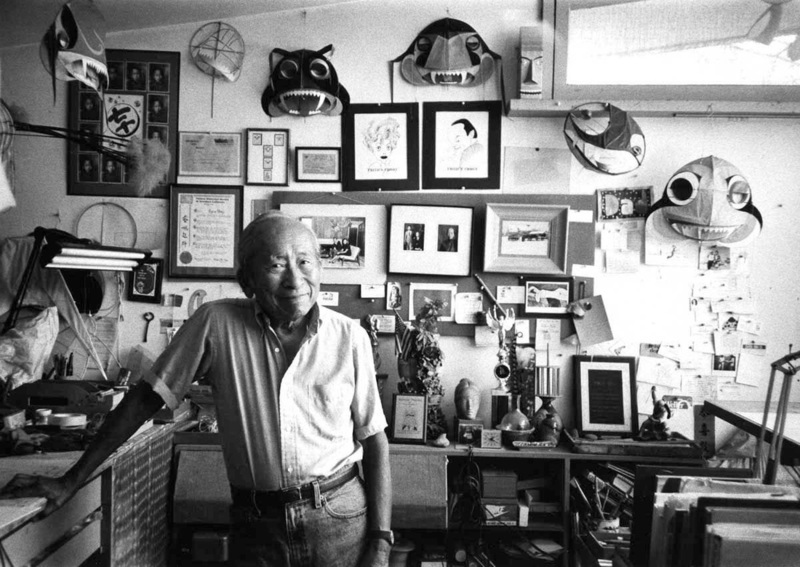 Following the true story of a 105-year-old pioneering Chinese American painter, Tyrus is a feature-length documentary film about the life, art, and enduring impact of Disney Legend, Tyrus Wong. 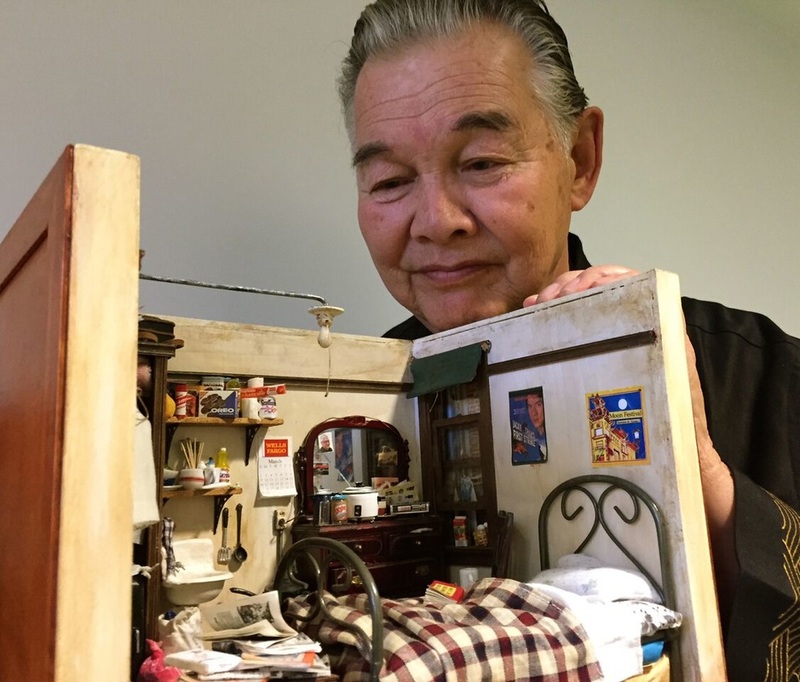 Seventeen years in the making, Tyrus combines the decades of artwork from his enormous collection of art throughout his career combined with filmmaker Pamela Tom’s intricate research of his life and work, including historic phots, artwork, and interviews and commentary from Wong himself. Tyrus Wong’s impact on American art and animation is truly documented through this moving and influential film. The opening film will screen at 7:30PM on Thursday, October 20th at the Brattle Theatre, 40 Brattle Street Cambridge, MA. Writer and Director Pamela Tom will be in attendance. The Boston Asian American Film Festival will close with the film The Tiger Hunter, a comedy by independent filmmaker Lena Khan. The Tiger Hunter is a coming of age story of Sami Malik, a young South Asian who travels to 1970s America to become an engineer in order to impress his childhood crush and live up to the legacy of his father – a legendary tiger hunter back home. When Sami’s job falls through, he takes a low-end job and joins with a gang of oddball friends in hopes of convincing his childhood sweetheart that he’s far more successful than he truly is, or could ever be. The Tiger Hunter is director and writer Lena Khan’s first feature film. Lena Khan, will be in attendance at this screening. (Sunday, October 23 at 5pm, Paramount Center). The BAAFF 2016 features over 25 films. The full lineup is: Tuesday, October 18, at 6:30 PM, Paramount Center (free screening as part of Bright Lights): Good Luck Soup, Thursday, October 20, at 7:30 PM Brattle Theater: Tyrus (opening), Friday, October 21 at 7:00 PM, Paramount Center: Shorts Program: Roots and Reflections (Life of Zili, A Children’s Song, The Last Tip, Up in the Clouds Angels and Demons, Forever, Chinatown), Front Cover, Saturday, October 22 at 9:30 PM, Paramount Center: Shorts Program: Be True at 1:30 PM (Got it Maid, Encore, The Monkey King is in Town, Fanny Pack, Ba, Gaysians, Pamanhikan), Right-Footed at 4:15 PM, Comfort (Centerpiece) at 6:30 PM, Kite Fight, Bad Rap at 9:15 PM. On Sunday, October 23, BAAFF continues with the Shorts Program: “It’s Complicated” at 1:00 PM: (Empty Spaces, Boxer, Song on Canvas, Unspoken, Pata, Harry on the Clouds, The Waltz, Halmoni), Breathin’: The Eddy Zheng Story at 3:00 PM, and concludes with The Tiger Hunter (Closing) at 5:00 PM. Q&A will follow most screenings with film talent(s) in attendance. 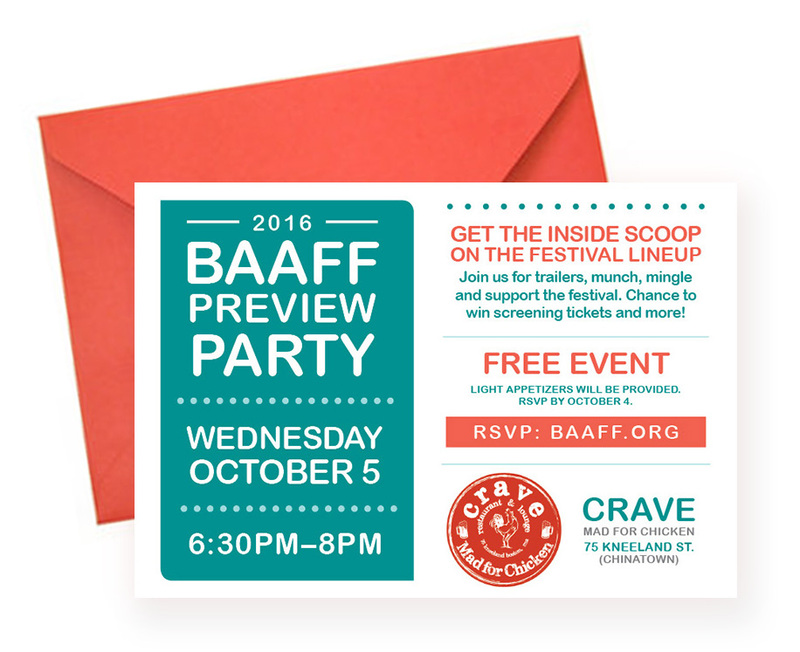 The community is invited to attend a free preview party at Crave, on Oct. 5. (6:30 – 8::00 PM at 75 Kneeland Street in Chinatown) for a sneak peak at the screenings and a chance to win tickets. Visit http://www.baaff.org/preview-party for more information and to RSVP by Oct. 4. The Boston Asian American Film Festival gratefully acknowledges the support of the following sponsors and Festival partners: ArtsEmerson, Asian American Resource Workshop (AARW), Tufts Medical Center, South Cove Community Health Center, TEAM (Together Empowering Asian Minds), Asian American Commission, Eastern Bank, Spotlight Cinema Networks, JetBlue, LobsBoston, SAMPAN, Boston Chinatown Neighborhood Center, Lyric Stage Company of Boston. This program is supported in part by a grant from the Boston Cultural Council, a local agency which is funded by the Massachusetts Cultural Council, administrated by the Mayor’s Office of Arts + Culture. The mission of the Asian American Resource Workshop (AARW) is to work for the empowerment of the Asian Pacific American community to achieve its full participation in the U.S. society. AARW is a member-based organization that seeks to document the diverse Asian Pacific American histories, experiences, and social conditions. Our resource and activities are used to respond to current Asian Pacific American issues and to promote Asian Pacific American identity. Funded in part by Community Works and MA Humanities Council. 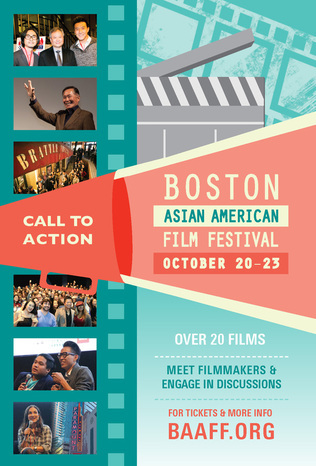 BOSTON, MA [September 15, 2015] – The Boston Asian American Film Festival (BAAFF), a production of the Asian American Resource Workshop (AARW), announces a provocative and entertaining program of independent cinema highlighting recent, significant works by and/or about Asian Americans and the Asian diaspora. The festival theme is Home in America, celebrating the diverse stories about how and why America is home. This year, the festival takes place October 22 to 25, 2015 in Boston at ArtsEmerson’s Bright Family Screening Room in the Paramount Center and in Cambridge at the Brattle Theatre. The opening film will screen at 7:30PM on Thursday, October 22nd at the Brattle Theatre, 40 Brattle Street Cambridge, MA. Writer and Director Benson Lee, will be in attendance. 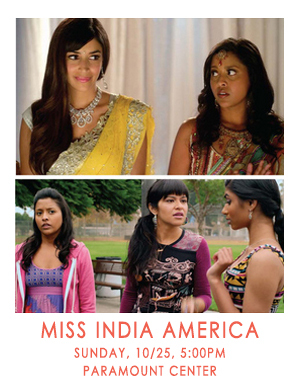 The Boston Asian American Film Festival will close with the film Miss India America, a comedy by Ravi Kapoor, where Election and Legally Blonde meets the world of Indian-American beauty pageants. An ambitious teenager whose lifelong plans are ruined when her boyfriend falls for the reigning Miss India National beauty queen, leaving her no choice but to try to become Miss India National herself. The film is both a South Asian story, and an American story about the way we define success. Miss India America won the CAAMFest Comcast Narrative Jury Award, and LA Asian Pacific Film Festival Best Screenplay Award. Meera Simhan, writer, creative producer, and actress; whose one-woman stage show, Miss India America, provided the basis for the film, will also be in attendance (Sunday, October 25 at 5pm, Paramount Center). Photography opportunities will take place prior to each screening, and following the screening there will be a conversation/Q&A with film talent in attendance. Next Monday, you can meet Mr. Sulu himself when Takei visits Somerville for a special screening of his documentary, To Be Takei, hosted by the Boston Asian American Film Festival. Takei will take part in a Q&A after the screening at Somerville Theatre. The documentary is an all-inclusive look at Takei’s life, both personal and professional. If the phrase “only gets better with age” applies to anyone, George Takei is a prime example. Presentations,	October	13th and	November	3rd. Square,	however	most	screenings	will	take	place	at	Emerson	College’s	Paramount	Center. Enterprise	to	the	helm	of daily	newsfeeds	of	five	milling	Facebook	fans. Ancestors	of	the	Future, M	A	R	K	E	D),	A	Leading	Man,	and To	be	Takei. Americans	in	Media,	at	the	Tufts	Medical	Center	Wolff	Auditorium	in	Chinatown. Who	I	Really	Am…	will	be	screened	on	opening	night. Crave:	Mad	for	Chicken (75	Kneeland	Street,	Boston). "Film challenges racial stereotypes in Indie genre"
"The Asian community is largely underrepresented in the independent film genre, which, although its generic classification makes the implicit claim of abstaining from mainstream or normative film conventions, exhibits an embarrassingly low profile of racial and ethnic diversity." "Boston's 5th Asian-American Film Festival: Ang Lee, Linsanity & Others Headline"
"I spoke with the director of the festival, Susan Chinsen, about the significance of the event to the Asian-American community in Boston. "Firstly, the festival will showcase the complexity and variety of stories in the community. We also thought it'd be a formal vehicle for the Asian community to showcase its work," Chinsen said." "2013 Boston Asian American Film Festival"
"In a world where non-white faces are still pushed off-screen or relegated to the role of Bad Guy #4 in the background, this festival (along with others that seek to offset mainstream underrepresentation) is a platform for young filmmakers to get their work seen and their voices heard." "5 things to do in and around Boston"
"More than 30 films, from the documentary “Linsanity” about Chinese-American basketball sensation Jeremy Lin, to a comedic road movie called “Sake-Bomb,” are on the schedule for the fifth annual Boston Asian American Film Festival, playing at the Brattle Theatre in Harvard Square and Boston’s Paramount Center." "Film Series and Fests Signify Autumn"
"New film festivals that are steadily growing and making a mark on the local cultural scene include The Boston Asian American Festival, which runs Oct. 24-27 at the Brattle Theatre and the Bright Family Screening Room. Now in its fifth year, BAAFF is a production of the Asian American Resource Workshop. It showcases recent, independent films by and/or about Asian-Americans and the Asian diaspora." "There's no denying the cinematic impact of Jackie Chan, John Woo, and Bruce Lee. Enjoy New England premieres and other films that you won't see anywhere else." "'Short Waves' showcases Asian-American short films"
"BOSTON ASIAN AMERICAN FILM FESTIVAL @ VARIOUS LOCATIONS"
Courtesy of the Asian American Resource Workshop is the 2012 Boston Asian American Film Festival, a four-day event coming to the Brattle, Somerville Theatre, and Bright Family Screening Room, which “empowers Asian Americans through film by showcasing Asian American experiences.” Those experiences? How about family strife by way of a bone marrow transplant (Sunset Stories), marrying to end an ancient curse (Wedding Palace), #ghostproblemz (I Am A Ghost), drugs, politics, polyamory and-you know what? For the next few days, movie-goers will have a chance to see sides of life in this country that are rarely shown onscreen, as the fourth Boston Asian American Film Festival comes to theaters in downtown Boston, Cambridge, and Somerville. The festival includes several New England premieres, and many stars and filmmakers will be on hand, including actor Booboo Stewart from the “Twilight” films, martial arts master Pui Chan, and director H.P. Mendoza. The festival is a production of the Asian American Resource Workshop, a Chinatown-based nonprofit group that works to empower Asian- and Pacific-Americans. This fourth edition of the festival features more than five Boston/New England premieres, exclusive Q&As with filmmakers and various co-sponsored events around Boston. Shum, Jr. – WHITE FROG is an incisive look at the modern American family centered on a young autistic boy coping with the death of his older brother, and ultimately a universal story of the power of family and friendship in the face of difference and tragedy. Daniel Hsia’s expat romantic comedy. MULAN), is the ultimate tribute to one of the men who brought Chinese martial arts to the United States. in enthusiasts, students and filmgoers alike to a celebration of shared cultural heritage. shorts about the lighter sides of life. of I AM A GHOST with Boston’s Shudder Fest Horror Film Festival. H.P. Mendoza’s piercing thriller deftly demonstrates the versatility of the Asian-American horror feature film and is the winner of Best New Horror Director by SF Weekly. Tickets to the 2012 BAAFF can be purchased at the door or online by visiting baaff.org. Individual tickets for each film (excluding the Opening Night film) are $10 for General Admission, and additional member and student rates may be available and vary depending on venue. 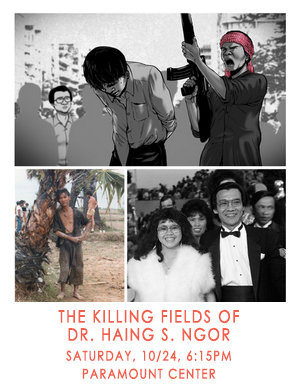 Tickets to the Opening Night film at the Brattle Theatre are $25 for General Admission or $20 for Early-Birds purchased by October 18.
www.baaff.org/ or contact us at baaff@aarw.org. he really was. WHITE FROG is a universal story of the power of family, friendship and love positioned to appeal to a broad audience in the same way as ORDINARY PEOPLE and STAND BY ME. will be opening at the Lyric Stage Company of Boston in November. Jason and his family that if he is not married before his 30th birthday, he will certainly die a horrible death. SPECIAL CO-PRESENTATION with Shudder Fest Horror Film Festival – BOSTON PREMIERE! NEW ENGLAND PREMIERE – Special performance by Wah Lum Kung Fu! daughter Mimi Chan confronts the challenges of trying to keep tradition alive in a modernized era. CENTERPIECE PRESENTATION – BOSTON PREMIERE! bipartisanship reward or ruin his chances for re-election? friendship in a New York neighborhood. fidelity aren’t always mutually exclusive. Special Guest Appearance by Mimi Chan and Grandmaster Pui Chan! Li), MY 2009 EXPERIENCE (dir. Henry Ho), THE COMMITMENT (dir. Raahul Singh) and NANI (dir. into personal identity, family crises and everything else in life. CLOSING FILM - BOSTON PREMIERE! For screeners and interviews contact chanel.kong@gmail.com. indie rock and world music. For more information, visit artsemerson.org. Angeles, Washington, D.C., the Netherlands, London, China, and the Czech Republic. communication and the arts. For more information, visit www.emerson.edu.